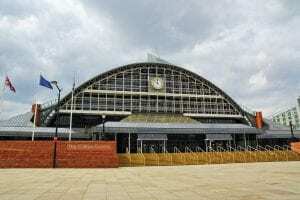 The convention centre was originally one of Manchester’s main railway stations and the original fixtures and fittings still remain providing an authentic and original charm. Whilst having all of this old-world charm it is cutting edge in technological requirement for conventions, exhibitions and events. If you are travelling as an exhibitor or visitor to an event in Manchester Central, Clayton Hotel Manchester Airport offers an ideal choice for you. The train from the airport will bring you to Manchester Piccadilly or Victoria Station, both are close to Manchester Central. You don’t have to stay in the city centre, you can stay at the airport which will mean you will be able to make a quick return home after the event.